Heated/Cooled Leather Seats, Premium Sound System, GT PERFORMANCE PACKAGE, EQUIPMENT GROUP 400A, TRANSMISSION: 6-SPEED MANUAL, Back-Up Camera. GT Premium trim, Velocity Blue Metallic exterior and Ebony interior. SEE MORE!KEY FEATURES INCLUDELeather Seats, Heated Driver Seat, Cooled Driver Seat, Back-Up Camera, Premium Sound System Rear Spoiler, MP3 Player, Keyless Entry, Steering Wheel Controls, Heated Mirrors.OPTION PACKAGESGT PERFORMANCE PACKAGE Brembo 6-piston front brake calipers, K-brace, performance rear wing, silver painted strut-tower brace, unique chassis tuning, unique electronic power assisted steering, unique anti-lock brakes and upsized rear sway bar, Engine Spun Aluminum Instrument Panel, HD Front Springs, Larger Radiator, Wheels: 19 x 9 Fr & 19 x 9.5 Rr Ebony Black Painted aluminum, Larger Brake Rotors, Unique Stability Control, Tires: 255/40R19 Fr & 275/40R19 Rr Summer-Only Designed to optimize driving dynamics and provide superior performance on wet and dry roads, High performance summer tires wear faster than non-performance tires, Ford does not recommend using summer tires when temperatures drop to approximately 45 deg F (7 deg C) or below or in snow/ice conditions, Gauge Pack (Oil, ENGINE: 5.0L TI-VCT V8 (STD), VELOCITY BLUE METALLIC, TRANSMISSION: 6-SPEED MANUAL dual mass flywheel, twin disc clutch, new gearing and rev matching (STD), EQUIPMENT GROUP 400A. Ford GT Premium with Velocity Blue Metallic exterior and Ebony interior features a 8 Cylinder Engine with 460 HP at 7000 RPM*.OUR OFFERINGSBaxter Ford West Dodge, a full-service Ford dealership in Omaha, is your source for new Ford cars, trucks, vans and SUVs both online and in our showroom. We also sell used vehicles and certified pre-owned Fords. At our 18505 California Street (185th & Dodge) locationHorsepower calculations based on trim engine configuration. Please confirm the accuracy of the included equipment by calling us prior to purchase. Velocity Blue Metallic exterior and Ebony interior, GT trim. Onboard Communications System, Smart Device Integration, iPod/MP3 Input, ENGINE: 5.0L TI-VCT V8, EQUIPMENT GROUP 300A, TRANSMISSION: 10-SPEED AUTOMATIC W/SE... CLICK NOW!KEY FEATURES INCLUDEBack-Up Camera, iPod/MP3 Input, Onboard Communications System, Smart Device Integration Rear Spoiler, MP3 Player, Aluminum Wheels, Keyless Entry, Steering Wheel Controls.OPTION PACKAGESTRANSMISSION: 10-SPEED AUTOMATIC W/SELECTSHIFT steering wheel paddle shifters, Remote Start System, Leather-Wrapped Shift Knob, 3.15 Limited Slip Rear Axle Ratio, VELOCITY BLUE METALLIC, ENGINE: 5.0L TI-VCT V8 (STD), EQUIPMENT GROUP 300A. Ford GT with Velocity Blue Metallic exterior and Ebony interior features a 8 Cylinder Engine with 460 HP at 7000 RPM*.VISIT US TODAYBaxter Ford West Dodge, a full-service Ford dealership in Omaha, is your source for new Ford cars, trucks, vans and SUVs both online and in our showroom. We also sell used vehicles and certified pre-owned Fords. At our 18505 California Street (185th & Dodge) location, we also provide parts and auto repair service. We're part of Baxter Auto, the largest dealer group in Nebraska.Horsepower calculations based on trim engine configuration. Please confirm the accuracy of the included equipment by calling us prior to purchase. Kona Blue Metallic exterior and Ebony interior, EcoBoost trim. Onboard Communications System, Keyless Start, Smart Device Integration, iPod/MP3 Input, ENGINE: 2.3L ECOBOOST, TRANSMISSION: 10-SPEED AUTOMATIC W/SE... Turbo READ MORE!KEY FEATURES INCLUDEBack-Up Camera, iPod/MP3 Input, Onboard Communications System, Keyless Start, Smart Device Integration. MP3 Player, Aluminum Wheels, Keyless Entry, Steering Wheel Controls, Electronic Stability Control.OPTION PACKAGESTRANSMISSION: 10-SPEED AUTOMATIC W/SELECTSHIFT steering wheel paddle shifters, Leather-Wrapped Shift Knob, 3.15 Limited Slip Rear Axle Ratio, KONA BLUE METALLIC, ENGINE: 2.3L ECOBOOST (STD), EQUIPMENT GROUP 100A. Ford EcoBoost with Kona Blue Metallic exterior and Ebony interior features a 4 Cylinder Engine with 310 HP at 5500 RPM*.OUR OFFERINGSBaxter Ford West Dodge, a full-service Ford dealership in Omaha, is your source for new Ford cars, trucks, vans and SUVs both online and in our showroom. We also sell used vehicles and certified pre-owned Fords. At our 18505 California Street (185th & Dodge) location, we also provide parts and auto repair service. We're part of Baxter Auto, the largest dealer group in Nebraska.Horsepower calculations based on trim engine configuration. Please confirm the accuracy of the included equipment by calling us prior to purchase. Heated/Cooled Leather Seats, Premium Sound System, Satellite Radio, Back-Up Camera, TRANSMISSION: 10-SPEED AUTOMATIC W/SE... Turbo Charged. Ruby Red Metallic Tinted Clearcoat exterior and Ebony interior, EcoBoost Premium trim CLICK ME!KEY FEATURES INCLUDEHeated Driver Seat, Cooled Driver Seat, Back-Up Camera, Premium Sound System, Satellite Radio. Rear Spoiler, MP3 Player, Aluminum Wheels, Keyless Entry, Steering Wheel Controls.OPTION PACKAGESTRANSMISSION: 10-SPEED AUTOMATIC W/SELECTSHIFT steering wheel paddle shifters, Remote Start System, Leather-Wrapped Shift Knob, 3.15 Limited Slip Rear Axle Ratio, RUBY RED METALLIC TINTED CLEARCOAT, EQUIPMENT GROUP 200A, ENGINE: 2.3L ECOBOOST (STD), EBONY, LEATHER BUCKET SEATS 6-way power front seats w/driver power lumbar, driver memory recline and 4-way adjustable front head restraints. Ford EcoBoost Premium with Ruby Red Metallic Tinted Clearcoat exterior and Ebony interior features a 4 Cylinder Engine with 310 HP at 5500 RPM*.WHO WE AREBaxter Ford West Dodge, a full-service Ford dealership in Omaha, is your source for new Ford cars, trucks, vans and SUVs both online and in our showroom. We also sell used vehicles and certified pre-owned Fords. At our 18505 California Street (185th & Dodge) location, we also provide parts and auto repair service. We're part of Baxter Auto, the largest dealer group in Nebraska.Horsepower calculations based on trim engine configuration. Please confirm the accuracy of the included equipment by calling us prior to purchase. Race Red exterior and Ebony interior, GT trim. iPod/MP3 Input, Smart Device Integration, ENGINE: 5.0L TI-VCT V8, EQUIPMENT GROUP 300A, TRANSMISSION: 10-SPEED AUTOMATIC W/SE... Back-Up Camera, Alloy Wheels, RACE RED. SEE MORE!KEY FEATURES INCLUDEBack-Up Camera, iPod/MP3 Input, Smart Device Integration Rear Spoiler, MP3 Player, Onboard Communications System, Aluminum Wheels, Keyless Entry.OPTION PACKAGESTRANSMISSION: 10-SPEED AUTOMATIC W/SELECTSHIFT steering wheel paddle shifters, Remote Start System, Leather-Wrapped Shift Knob, 3.15 Limited Slip Rear Axle Ratio, RACE RED, ENGINE: 5.0L TI-VCT V8 (STD), EQUIPMENT GROUP 300A. Ford GT with Race Red exterior and Ebony interior features a 8 Cylinder Engine with 460 HP at 7000 RPM*.EXPERTS ARE SAYINGEdmunds.com's review says The steering effort is appropriately light at low speeds and heavier at highway speeds. There's even some feedback as the front wheels begin to surrender grip. 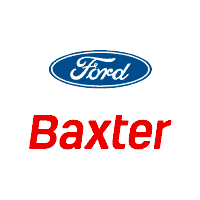 Overall, it's excellent for the class..VISIT US TODAYBaxter Ford South, a full-service Ford dealership in Omaha, is your source for new Ford cars, trucks, vans and SUVs both online and in our showroom. We also sell used vehicles and certified pre-owned Fords. At our 9203 South 145th Street (near Sapp Bros.) location, we also provide parts and auto repair service. We're part of Baxter Auto, the largest dealer group in Nebraska.Horsepower calculations based on trim engine configuration. Please confirm the accuracy of the included equipment by calling us prior to purchase. Heated/Cooled Leather Seats, iPod/MP3 Input, Dual Zone A/C, Smart Device Integration, Satellite Radio, TRANSMISSION: 10-SPEED AUTOMATIC W/SE... ENGINE: 5.0L TI-VCT V8. GT Premium trim, Shadow Black exterior and Ebony interior. SEE MORE!KEY FEATURES INCLUDEHeated Driver Seat, Cooled Driver Seat, Back-Up Camera, Premium Sound System, Satellite Radio, iPod/MP3 Input, Dual Zone A/C, Smart Device Integration, Heated Seats, Heated/Cooled Seats. Rear Spoiler, MP3 Player, Onboard Communications System, Aluminum Wheels, Keyless Entry.OPTION PACKAGESTRANSMISSION: 10-SPEED AUTOMATIC W/SELECTSHIFT steering wheel paddle shifters, Remote Start System, Leather-Wrapped Shift Knob, 3.15 Limited Slip Rear Axle Ratio, ENGINE: 5.0L TI-VCT V8 (STD), SHADOW BLACK, EBONY, LEATHER BUCKET SEATS 6-way power front seats w/driver power lumbar, driver memory recline and 4-way adjustable front head restraints, EQUIPMENT GROUP 400A. Ford GT Premium with Shadow Black exterior and Ebony interior features a 8 Cylinder Engine with 460 HP at 7000 RPM*.EXPERTS CONCLUDEEdmunds.com's review says The steering effort is appropriately light at low speeds and heavier at highway speeds. There's even some feedback as the front wheels begin to surrender grip. Overall, it's excellent for the class..WHO WE AREBaxter Ford South, a full-service Ford dealership in Omaha, is your source for new Ford cars, trucks, vans and SUVs both online and in our showroom. We also sell used vehicles and certified pre-owned Fords. At our 9203 South 145th Street (near Sapp Bros.) location, we also provide parts and auto repair service. We're part of Baxter Auto, the largest dealer group in Nebraska.Horsepower calculations based on trim engine configuration. Please confirm the accuracy of the included equipment by calling us prior to purchase. EcoBoost trim, Magnetic Metallic exterior and Ebony interior. iPod/MP3 Input, Keyless Start, Smart Device Integration, ENGINE: 2.3L ECOBOOST, EQUIPMENT GROUP 100A, TRANSMISSION: 10-SPEED AUTOMATIC W/SE... MAGNETIC METALLIC AND MORE!KEY FEATURES INCLUDEBack-Up Camera, iPod/MP3 Input, Keyless Start, Smart Device Integration. MP3 Player, Onboard Communications System, Aluminum Wheels, Keyless Entry, Steering Wheel Controls.OPTION PACKAGESTRANSMISSION: 10-SPEED AUTOMATIC W/SELECTSHIFT steering wheel paddle shifters, Leather-Wrapped Shift Knob, 3.15 Limited Slip Rear Axle Ratio, MAGNETIC METALLIC, ENGINE: 2.3L ECOBOOST (STD), EQUIPMENT GROUP 100A. Ford EcoBoost with Magnetic Metallic exterior and Ebony interior features a 4 Cylinder Engine with 310 HP at 5500 RPM*.EXPERTS CONCLUDEEdmunds.com explains The steering effort is appropriately light at low speeds and heavier at highway speeds. There's even some feedback as the front wheels begin to surrender grip. Overall, it's excellent for the class..WHY BUY FROM USBaxter Ford South, a full-service Ford dealership in Omaha, is your source for new Ford cars, trucks, vans and SUVs both online and in our showroom. We also sell used vehicles and certified pre-owned Fords. At our 9203 South 145th Street (near Sapp Bros.) location, we also provide parts and auto repair service. We're part of Baxter Auto, the largest dealer group in Nebraska.Horsepower calculations based on trim engine configuration. Please confirm the accuracy of the included equipment by calling us prior to purchase. GT trim, Kona Blue Metallic exterior and Ebony interior. iPod/MP3 Input, Smart Device Integration, ENGINE: 5.0L TI-VCT V8, EQUIPMENT GROUP 300A, TRANSMISSION: 10-SPEED AUTOMATIC W/SE... Back-Up Camera, Aluminum Wheels CLICK NOW!KEY FEATURES INCLUDEBack-Up Camera, iPod/MP3 Input, Smart Device Integration. Rear Spoiler, MP3 Player, Onboard Communications System, Aluminum Wheels, Keyless Entry.OPTION PACKAGESTRANSMISSION: 10-SPEED AUTOMATIC W/SELECTSHIFT steering wheel paddle shifters, Remote Start System, Leather-Wrapped Shift Knob, 3.15 Limited Slip Rear Axle Ratio, KONA BLUE METALLIC, ENGINE: 5.0L TI-VCT V8 (STD), EQUIPMENT GROUP 300A. Ford GT with Kona Blue Metallic exterior and Ebony interior features a 8 Cylinder Engine with 460 HP at 7000 RPM*.EXPERTS CONCLUDEEdmunds.com's review says The steering effort is appropriately light at low speeds and heavier at highway speeds. There's even some feedback as the front wheels begin to surrender grip. Overall, it's excellent for the class..WHY BUY FROM USBaxter Ford South, a full-service Ford dealership in Omaha, is your source for new Ford cars, trucks, vans and SUVs both online and in our showroom. We also sell used vehicles and certified pre-owned Fords. At our 9203 South 145th Street (near Sapp Bros.) location, we also provide parts and auto repair service. We're part of Baxter Auto, the largest dealer group in Nebraska.Horsepower calculations based on trim engine configuration. Please confirm the accuracy of the included equipment by calling us prior to purchase. Heated/Cooled Leather Seats, iPod/MP3 Input, Satellite Radio, Smart Device Integration, Dual Zone A/C, TRANSMISSION: 10-SPEED AUTOMATIC W/SE... EcoBoost Premium trim, Velocity Blue Metallic exterior and Ebony interior. READ MORE!KEY FEATURES INCLUDEHeated Driver Seat, Cooled Driver Seat, Back-Up Camera, Premium Sound System, Satellite Radio, iPod/MP3 Input, Dual Zone A/C, Smart Device Integration, Heated Seats, Heated/Cooled Seats. Rear Spoiler, MP3 Player, Onboard Communications System, Aluminum Wheels, Keyless Entry.OPTION PACKAGESTRANSMISSION: 10-SPEED AUTOMATIC W/SELECTSHIFT steering wheel paddle shifters, Remote Start System, Leather-Wrapped Shift Knob, 3.15 Limited Slip Rear Axle Ratio, ENGINE: 2.3L ECOBOOST (STD), VELOCITY BLUE METALLIC, EBONY, LEATHER BUCKET SEATS 6-way power front seats w/driver power lumbar, driver memory recline and 4-way adjustable front head restraints, EQUIPMENT GROUP 200A. Ford EcoBoost Premium with Velocity Blue Metallic exterior and Ebony interior features a 4 Cylinder Engine with 310 HP at 5500 RPM*.EXPERTS ARE SAYINGThe steering effort is appropriately light at low speeds and heavier at highway speeds. There's even some feedback as the front wheels begin to surrender grip. Overall, it's excellent for the class. -Edmunds.com.WHO WE AREBaxter Ford South, a full-service Ford dealership in Omaha, is your source for new Ford cars, trucks, vans and SUVs both online and in our showroom. We also sell used vehicles and certified pre-owned Fords. At our 9203 South 145th Street (near Sapp Bros.) location, we also provide parts and auto repair service. We're part of Baxter Auto, the largest dealer group in Nebraska.Horsepower calculations based on trim engine configuration. Please confirm the accuracy of the included equipment by calling us prior to purchase. Heated/Cooled Leather Seats, Aluminum Wheels, Premium Sound System, Back-Up Camera. Bullitt trim. Warranty 5 yrs/60k Miles - Drivetrain Warranty; CLICK NOW!KEY FEATURES INCLUDELeather Seats, Heated Driver Seat, Cooled Driver Seat, Back-Up Camera, Premium Sound System. MP3 Player, Aluminum Wheels, Keyless Entry, Steering Wheel Controls, Electronic Stability Control.EXPERTS CONCLUDEEdmunds.com explains The steering effort is appropriately light at low speeds and heavier at highway speeds. There's even some feedback as the front wheels begin to surrender grip. Overall, it's excellent for the class..OUR OFFERINGSBaxter Ford West Dodge, a full-service Ford dealership in Omaha, is your source for new Ford cars, trucks, vans and SUVs both online and in our showroom. We also sell used vehicles and certified pre-owned Fords. At our 18505 California Street (185th & Dodge) location, we also provide parts and auto repair service. We're part of Baxter Auto, the largest dealer group in Nebraska.Please confirm the accuracy of the included equipment by calling us prior to purchase. Navigation, iPod/MP3 Input, Onboard Communications System, Dual Zone A/C, Keyless Start, HANDLING PACKAGE (DEALER INSTALLED), TECHNOLOGY PACKAGE. Shelby GT350R trim, Shadow Black exterior and Ebony w/Red Accents interior. AND MORE!KEY FEATURES INCLUDEBack-Up Camera, iPod/MP3 Input, Onboard Communications System, Keyless Start, Dual Zone A/C Keyless Entry, Steering Wheel Controls, Electronic Stability Control, Bucket Seats, Electrochromic rearview mirror.OPTION PACKAGESGT350R EQUIPMENT GROUP 920A R Package, large front splitter, red accent stitching on center console, door trim, seats and steering wheel w/red center marker and unique chassis tuning, Carbon Fiber Rear Wing, Rear Seat Delete, Red Brake Calipers, TECHNOLOGY PACKAGE Voice-Activated Touch-Screen Navigation System, pinch-to-zoom capability, SiriusXM Traffic and Travel Link, Heated Mirrors, memory, turn signal indicator and Cobra puddle lamps, BLIS (Blind Spot Information System), cross-traffic alert, Radio: B&O Sound System by Bang & Olufsen, 12 speakers, CD player, HD Radio and subwoofer in trunk, HANDLING PACKAGE (DEALER INSTALLED) adjustable strut top mounts and gurney flap (placed in vehicle for installation post-sale), Factory Invoiced Accessory, EXPOSED CARBON FIBER INSTRUMENT PANEL, SHADOW BLACK, ENGINE: 5.2L TI-VCT V8 flat plane crank (STD), TRANSMISSION: TREMEC 6-SPEED MANUAL (STD). Ford Shelby GT350R with Shadow Black exterior and Ebony w/Red Accents interior features a 8 Cylinder Engine with 526 HP at 7500 RPM*.VEHICLE REVIEWSEdmunds.com explains The steering effort is appropriately light at low speeds and heavier at highway speeds. There's even some feedback as the front wheels begin to surrender grip. Overall, it's excellent for the class..WHO WE AREBaxter Ford West Dodge, a full-service Ford dealership in OmahaHorsepower calculations based on trim engine configuration. Please confirm the accuracy of the included equipment by calling us prior to purchase. Heated/Cooled Leather Seats, Nav System, TRANSMISSION: 10-SPEED AUTOMATIC W/SE... RADIO: B&O SOUND SYSTEM BY BANG & OLU... Onboard Communications System, SHADOW BLACK. GT Premium trim, Shadow Black exterior and Ebony interior SEE MORE!KEY FEATURES INCLUDEHeated Driver Seat, Cooled Driver Seat, Back-Up Camera, iPod/MP3 Input, Onboard Communications System Rear Spoiler, MP3 Player, Keyless Entry, Steering Wheel Controls, Heated Mirrors.OPTION PACKAGESEQUIPMENT GROUP 401A Blind Spot Info System w/Cross-Traffic Alert, Memory Driver Seat, Mirrors & Ambient Lighting, 3 settings, Premium Plus Package, Voice-Activated Touch-Screen Navigation System, pinch-to-zoom capability, SiriusXM Traffic and Travel Link w/a 5-year prepaid subscription, SiriusXM audio and data services each require a subscription sold separately, or as a package, by SiriusXM Radio Inc, If you decide to continue service after your trial, the subscription plan you choose will automatically renew thereafter and you will be charged according to your chosen payment method at then-current rates, Fees and taxes apply, To cancel you must call SiriusXM at 1-866-635-2349, See SiriusXM customer agreement for complete terms at www.siriusxm.com, All fees and programming subject to, TRANSMISSION: 10-SPEED AUTOMATIC W/SELECTSHIFT steering wheel paddle shifters, Remote Start System, Leather-Wrapped Shift Knob, 3.15 Limited Slip Rear Axle Ratio, WHEELS: 20 X 9 PREMIUM-PAINTED ALUMINUM Tires: 20, FORD SAFE & SMART PACKAGE Adaptive Cruise Control, Pre-Collision Assist w/Pedestrian Detection, automatic emergency braking and forward collision warning w/brake support, Lane-Keeping Alert, Automatic High Beam, Rain-Sensing Windshield Wipers, RADIO: B&O SOUND SYSTEM BY BANG & OLUFSEN CD player, 12-speakers and subwoofer in-trunk, HD Radio, ACTIVE VALVE PERFORMANCE EXHAUSTHorsepower calculations based on trim engine configuration. Please confirm the accuracy of the included equipment by calling us prior to purchase. Heated/Cooled Leather Seats, Aluminum Wheels, Back-Up Camera, Premium Sound System. Bullitt trim. Warranty 5 yrs/60k Miles - Drivetrain Warranty; CLICK ME!KEY FEATURES INCLUDELeather Seats, Heated Driver Seat, Cooled Driver Seat, Back-Up Camera, Premium Sound System. MP3 Player, Aluminum Wheels, Keyless Entry, Steering Wheel Controls, Electronic Stability Control.EXPERTS ARE SAYINGThe steering effort is appropriately light at low speeds and heavier at highway speeds. There's even some feedback as the front wheels begin to surrender grip. Overall, it's excellent for the class. -Edmunds.com.WHY BUY FROM USBaxter Ford West Dodge, a full-service Ford dealership in Omaha, is your source for new Ford cars, trucks, vans and SUVs both online and in our showroom. We also sell used vehicles and certified pre-owned Fords. At our 18505 California Street (185th & Dodge) location, we also provide parts and auto repair service. We're part of Baxter Auto, the largest dealer group in Nebraska.Please confirm the accuracy of the included equipment by calling us prior to purchase. Onboard Communications System, Keyless Start, Smart Device Integration, iPod/MP3 Input, 3.55 TORSEN LIMITED SLIP REAR-AXLE, TRANSMISSION: 6-SPEED MANUAL, EQUIPMENT GROUP 300A. GT trim, Race Red exterior and Ebony interior AND MORE!KEY FEATURES INCLUDEBack-Up Camera, iPod/MP3 Input, Onboard Communications System, Keyless Start, Smart Device Integration. Rear Spoiler, MP3 Player, Aluminum Wheels, Keyless Entry, Steering Wheel Controls.OPTION PACKAGES3.55 TORSEN LIMITED SLIP REAR-AXLE, ENGINE: 5.0L TI-VCT V8 (STD), RACE RED, TRANSMISSION: 6-SPEED MANUAL dual mass flywheel, twin disc clutch, new gearing and rev matching (STD), EQUIPMENT GROUP 300A. Ford GT with Race Red exterior and Ebony interior features a 8 Cylinder Engine with 460 HP at 7000 RPM*.OUR OFFERINGSBaxter Ford West Dodge, a full-service Ford dealership in Omaha, is your source for new Ford cars, trucks, vans and SUVs both online and in our showroom. We also sell used vehicles and certified pre-owned Fords. At our 18505 California Street (185th & Dodge) location, we also provide parts and auto repair service. We're part of Baxter Auto, the largest dealer group in Nebraska.Horsepower calculations based on trim engine configuration. Please confirm the accuracy of the included equipment by calling us prior to purchase. Heated/Cooled Leather Seats, Premium Sound System, Satellite Radio, Back-Up Camera, EBONY, LEATHER BUCKET SEATS, EQUIPMENT GROUP 400A, Alloy Wheels. Ruby Red Metallic Tinted Clearcoat exterior and Ebony interior, GT Premium trim SEE MORE!KEY FEATURES INCLUDEHeated Driver Seat, Cooled Driver Seat, Back-Up Camera, Premium Sound System, Satellite Radio. Rear Spoiler, MP3 Player, Aluminum Wheels, Keyless Entry, Steering Wheel Controls.OPTION PACKAGESTRANSMISSION: 10-SPEED AUTOMATIC W/SELECTSHIFT steering wheel paddle shifters, Remote Start System, Leather-Wrapped Shift Knob, 3.15 Limited Slip Rear Axle Ratio, ACTIVE VALVE PERFORMANCE EXHAUST, RUBY RED METALLIC TINTED CLEARCOAT, EBONY, LEATHER BUCKET SEATS 6-way power front seats w/driver power lumbar, driver memory recline and 4-way adjustable front head restraints, ENGINE: 5.0L TI-VCT V8 (STD), EQUIPMENT GROUP 400A. Ford GT Premium with Ruby Red Metallic Tinted Clearcoat exterior and Ebony interior features a 8 Cylinder Engine with 460 HP at 7000 RPM*.OUR OFFERINGSBaxter Ford West Dodge, a full-service Ford dealership in Omaha, is your source for new Ford cars, trucks, vans and SUVs both online and in our showroom. We also sell used vehicles and certified pre-owned Fords. At our 18505 California Street (185th & Dodge) location, we also provide parts and auto repair service. We're part of Baxter Auto, the largest dealer group in Nebraska.Horsepower calculations based on trim engine configuration. Please confirm the accuracy of the included equipment by calling us prior to purchase. Heated/Cooled Leather Seats, Premium Sound System, BLACK ACCENT PACKAGE, EQUIPMENT GROUP 400A, TRANSMISSION: 10-SPEED AUTOMATIC W/SE... Back-Up Camera, SHADOW BLACK. GT Premium trim, Shadow Black exterior and Ebony interior. READ MORE!KEY FEATURES INCLUDELeather Seats, Heated Driver Seat, Cooled Driver Seat, Back-Up Camera, Premium Sound System. MP3 Player, Keyless Entry, Steering Wheel Controls, Electronic Stability Control, Heated Mirrors.OPTION PACKAGESTRANSMISSION: 10-SPEED AUTOMATIC W/SELECTSHIFT steering wheel paddle shifters, Remote Start System, Leather-Wrapped Shift Knob, 3.15 Limited Slip Rear Axle Ratio, BLACK ACCENT PACKAGE Tires: 19, Black GT, 5.0 & Pony Badges, Wheels: 19 x 8.5 Ebony Black-Painted Aluminum, Black Rear Spoiler, Painted Black Roof, SHADOW BLACK, ENGINE: 5.0L TI-VCT V8 (STD), EQUIPMENT GROUP 400A. Ford GT Premium with Shadow Black exterior and Ebony interior features a 8 Cylinder Engine with 460 HP at 7000 RPM*.WHO WE AREBaxter Ford West Dodge, a full-service Ford dealership in Omaha, is your source for new Ford cars, trucks, vans and SUVs both online and in our showroom. We also sell used vehicles and certified pre-owned Fords. At our 18505 California Street (185th & Dodge) location, we also provide parts and auto repair service. We're part of Baxter Auto, the largest dealer group in Nebraska.Horsepower calculations based on trim engine configuration. Please confirm the accuracy of the included equipment by calling us prior to purchase. Heated/Cooled Leather Seats, Multi-Zone A/C, Premium Sound System, Alloy Wheels, Back-Up Camera, Keyless Start, Auxiliary Audio Input, Satellite Radio. GT Premium trim. Warranty 5 yrs/60k Miles - Drivetrain Warranty; CLICK NOW!KEY FEATURES INCLUDELeather Seats, Heated Front Seat(s), Cooled Front Seat(s), Back-Up Camera, Premium Sound System, Satellite Radio, Auxiliary Audio Input, Keyless Start, Multi-Zone A/C. Rear Spoiler, MP3 Player, Telematics, Aluminum Wheels, Keyless Entry.EXPERTS ARE SAYINGNow a sophisticated modern muscle car, the new Mustang delivers power, style and performance at a price almost anybody can afford. -KBB.com.PURCHASE WITH CONFIDENCECARFAX 1-OwnerVISIT US TODAYBaxter Ford South, a full-service Ford dealership in Omaha, is your source for new Ford cars, trucks, vans and SUVs both online and in our showroom. We also sell used vehicles and certified pre-owned Fords. At our 9203 South 145th Street (near Sapp Bros.) location, we also provide parts and auto repair service. We're part of Baxter Auto, the largest dealer group in Nebraska.Please confirm the accuracy of the included equipment by calling us prior to purchase.